About Nouráge "Nouráge includes a carefully selected combination of protein, vitamins, minerals and an antioxidant blend for optimal hair, skin and nail health. The main ingredient, Keratin, is a protein found naturally in the body that helps protect and repair damaged hair, nails and skin. While keratin is often used in topical hair treatments, keratin in a digestible form for the body is a recent breakthrough." The tablets are small, and easy to swallow, recommended dosage is 3 tablets a day. So, what were my results and how did I feel? I honestly didn't notice any differences in the way I felt no negative or positive changes there. As far as physical changes I noticed my nails grew faster, and that my hair also grew mainly in the last week and 1/2 of taking these tablets. As far as my skin is concerned I can't say I noticed any differences. I did take before & after photos of my hair for reference! (I even wore the same shirt) These are my results after 30 days. 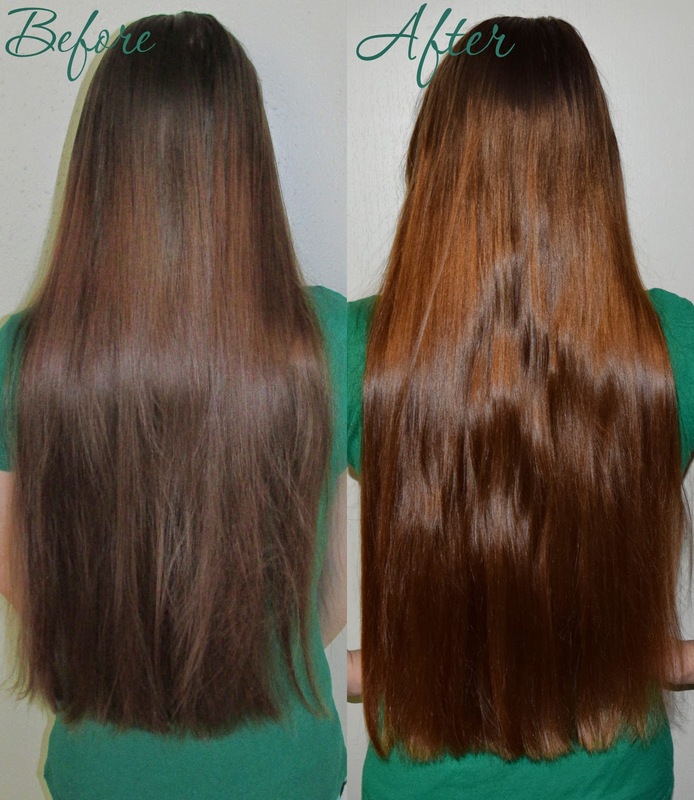 (Before was natural light, after was taken with flash) As you can see, I gained about 1"-1 1/2" inches growth, and my hair averages about 1/2" inch a month, however since my hair has gotten longer it seems to grow a little slower so I was very pleased with my results. In my after I did have my hair up a few hours prior to the photo being taken so it does have a little waviness to it which makes it look somewhat shorter in spots (my bad!) but you can still tell my hair grew a good amount. Overall, if you have slow growing hair, recently got a bad hair cut or just want to grow out those lucious tresses I highly recommend giving Nouráge a try!